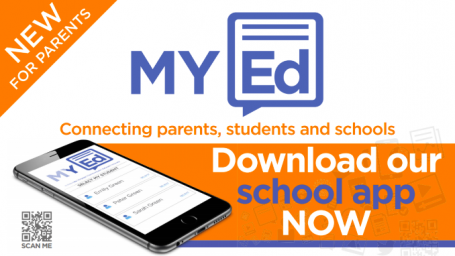 We are excited to announce the launch of our new parent app ‘My Ed’, My Ed replaces Our Schools App which is no longer in use. Parents/carers can now delete Our Schools app as we will no longer be updating or providing support for it. My Ed is quick and easy to install and works on both Apple and Android devices and come with many new features that parents/carers have been asking for. To download, simply visit the Apple App Store, or Google Play store and search for My Ed. Once the app is opened search for The Bewdley School, you will then be prompted to enter your name, email address and mobile number. The system will then send the user a text message with a unique code, once entered parents/carers will be registered to use the app. The app is secure and can be accessed anytime anywhere, so even the busiest parents/carers can access information including attendance, timetables as well as news, key dates and our school website. Over the next few months we will be adding more features such as students behaviour, praise, reports and exams information. Allows any member of The Bewdley Community to view information and keep up to date with what’s going on in school showing key information, contacts, dates and news. The new app allows the sending and receiving of FREE messages via parents/carers mobile device (via push notifications). This will where possible replace the sending of text messages making it easier for parents/ carers to see information all in one place. Allows parents/carers to view key information about their child’s school activity including details about their attendance, timetable and soon behaviour and praise. This information is updated daily overnight. This part of the app will only be available to the parent/carer who currently receives school texts. Please note, for parents/carers registering for ‘My Students’ this can take up to 24 hours for the system to verify details to ensure no data is only shared with the appropriate parent/carer.